This is another “Good-n-Plenty” pink room! We still are not sure what we will do with this room. 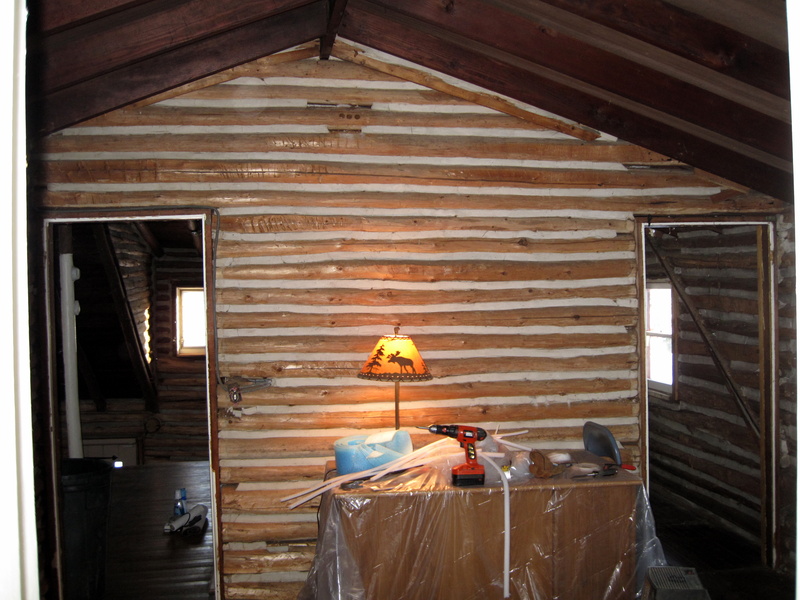 We only got as far as ripping the paneling down…the logs, electric, and chinking are still in need of completion. I couldn’t WAIT to rip this paneling down! 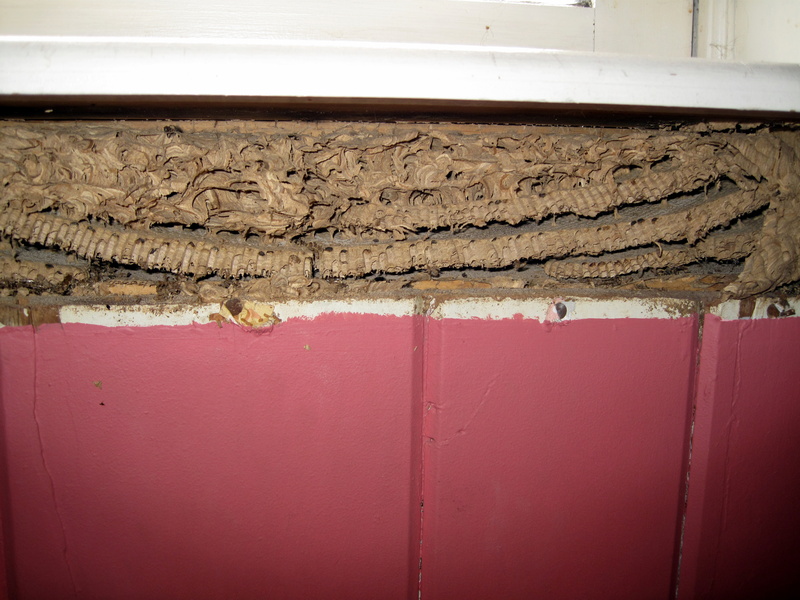 When we did rip this paneling down, we had a couple of unexpected discoveries… a fully intact mouse skeleton (I’ll spare you the sight, and leave that picture out! 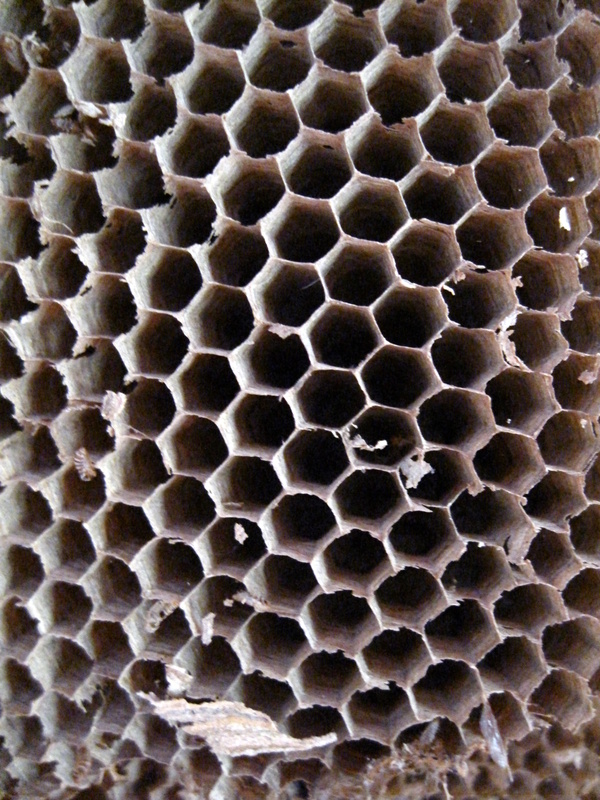 ), and an inactive but huge bee hive…aaah, the surprises keep coming! This picture was taken in the middle of the job, while we were still taking paneling down on another wall, but here you can see the logs have already been stripped of the bark beofre the paneling covered them – – so one less step down the line for us…YIPEEEEE! 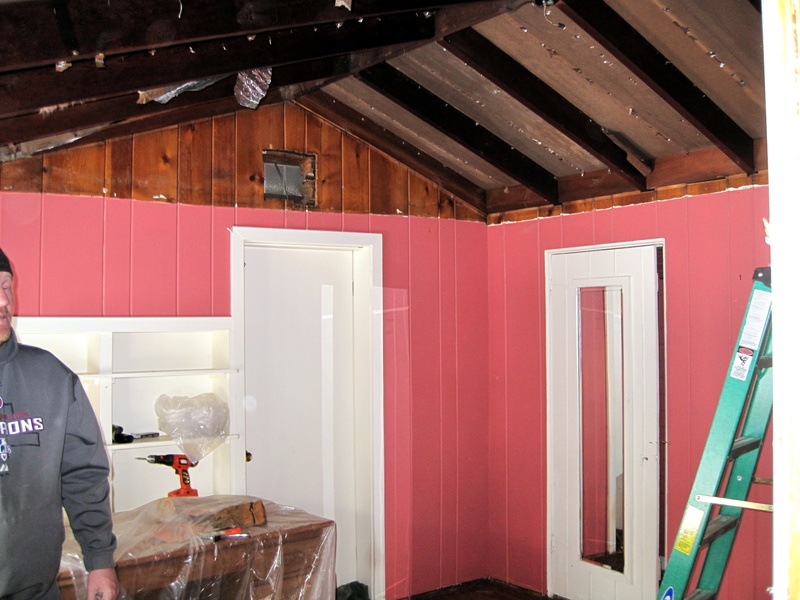 This entry was posted in Cabin and tagged cabin, log, paneling, pink. Bookmark the permalink.